The Good Looking Organisation fan site dedicated to Good Looking Records and its sub labels. Thanks for viewing my blog on Good Looking Records. A full good looking records discography can be found at http://goodlooking.gbuk.net/. 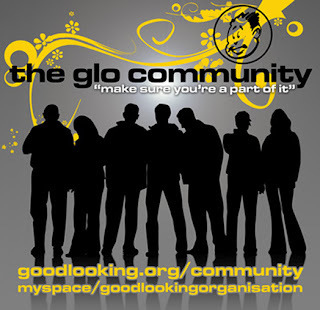 The official Good Looking Organisation site can be found at http://www.goodlooking.org/. Please use the comments below to say how much you love good looking records, talk about recent events or ones from 10+ years ago or let everyone know about new releases and general info from Good Looking Records. Become a part of the Good Looking Community. Join up and become a part of the offical Good Looking Organisation Community. Looks like it is going to be amazing once it opens to the registered members. I am just counting the days. Visit the Good Looking Organisation Fan Site. The goodlooking organisation fansite contains all sorts of information on good looking records and its sub labels (looking good records, earth records, cookin records, nexus records, deep rooted etc). Events, News and label release information. See http://www.goodlooking.org/ for up-to-date information on Events around the world.